The Family Fun Adventure Challenge is a FREE, family-friendly, 1-mile obstacle course run/walk. 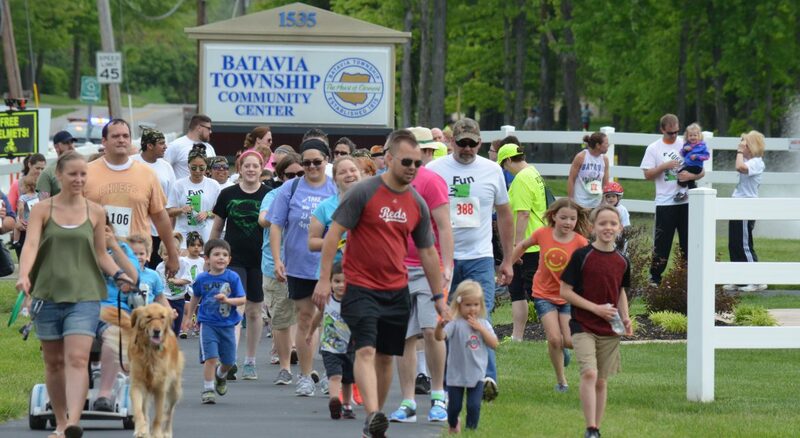 The course winds through the Batavia Township Park with several fun challenges along the way. Most of the course follows a paved trail, and any obstacle can be skipped. The goal of the Family Fun Adventure Challenge is to get families together and get some physical activity in a fun way. Each person that finishes the challenge will be eligible for raffle prizes. The event is free but does require registration. In 2019, the Family Fun Adventure Challenge will be teaming up with the Clermont Play, Learn and Grow Kids Fest. After you complete the adventure challenge stay for the Play, Learn and Grow Kids Fest. Enjoy music, games & activities, face painting, and local early childhood agency information tables with giveaways for children six and under. The Kids Fest is hosted by Clermont County Family and Children First’s Early Childhood Coordinating Committee. Click below to see pictures from the past events.